The Importance of Ladies Night Out! Married women and mothers are dedicated to their families. It’s time consuming for these women to care for their loved ones, work at their jobs, and take care of themselves, which is why a ladies night out is so important. A ladies night out can help women transform their spirit and give them a break from their busy daily lives. A ladies night out doesn’t have to be complicated. You and your friends can meet up for a movie, drinks, or dinner. The rules of a ladies night out are simple, have fun! Wear what you want, eat or drink what you want, and enjoy the company of friends. Avoid talking about your daily tasks as a wife and mother though. Mothering is time-consuming and women deserve some me-time in between parenting. Focus on yourself, your friends, and having a good time during Ladies Night Out. Relax with friends to make your regular life easier. Taking a break and enjoying some burgers and booze is a great way to recharge and unwind. Consider a ladies night out at B Square Burgers and Booze! 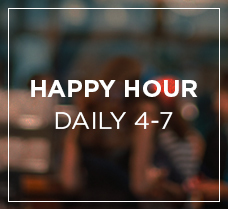 Thursday is ladies night at B Square, where you can enjoy two for one drinks from 7 to 11 p.m. You and your friends can also stop by our location for Happy Hour Monday through Friday from 4 to 7 p.m., or enjoy our late night menu on Sunday through Thursday from 10:30 p.m. until close, or Friday and Saturday from 11:30 p.m. until close. 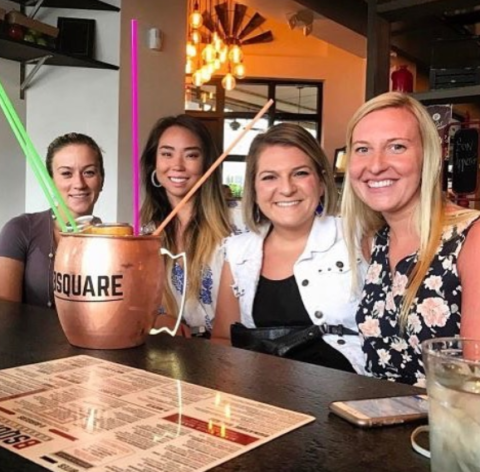 If you’d rather have a ladies afternoon out, we also offer a weekend brunch on Saturdays and Sundays from 11 a.m. to 3 p.m.
To enjoy our unique and savory burgers, as well as our delicious and refreshing drinks, stop by B Square Burgers and Booze at 1021 E. Las Olas Boulevard in Fort Lauderdale. You can book a reservation at our restaurant online, or you can give us a call at 954-999-5216. We hope you will enjoy Ladies Night Out at B Square!